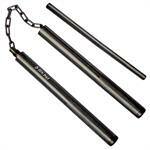 This Converta Nunchaku had a round design and measures 12 inches. 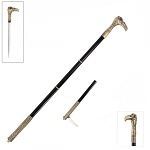 When the handles are screwed together, it converts into a 24" police baton. 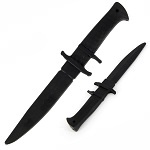 Black leather slapper 9" overall. 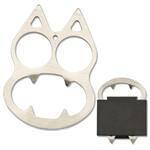 Kubatons are highly accessible, extremely durable, effective self defense weapons. 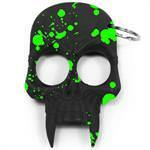 1R1-AZ1102BG - Demonic Skull Zombie Killer Self Defense Keychain Black With Green Splash. 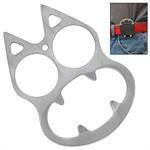 It sports a large silver ring to fit all your keys. 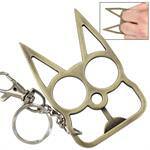 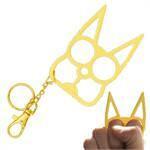 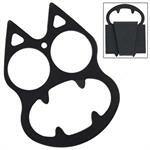 Feline Silver Screen Personal Protection Knuckle. 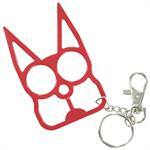 Adorable Design, Perfect for Personal Security, specially among co-eds! 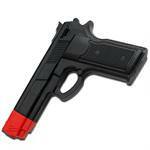 Free ABS Plastic Sheath with Belt Clip. 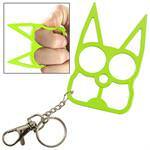 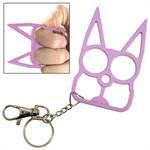 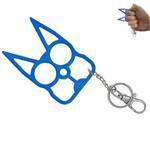 This unique Purple Cat Defensive keychain packs a sharp punch! 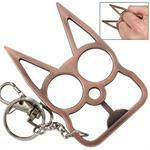 The eyes of the cat become finger holes and the ears become spikes when clutched in your hand to create an excellent means of surprise-defense against an attacker.